I am clearly obsessed with everything blueberry and everything lemon. So a loaf cake with both was most definitely in order. It doesn’t get much better, yum! I had a lot of lemons in the house and this took 3 large lemons to get the right amount of zest. 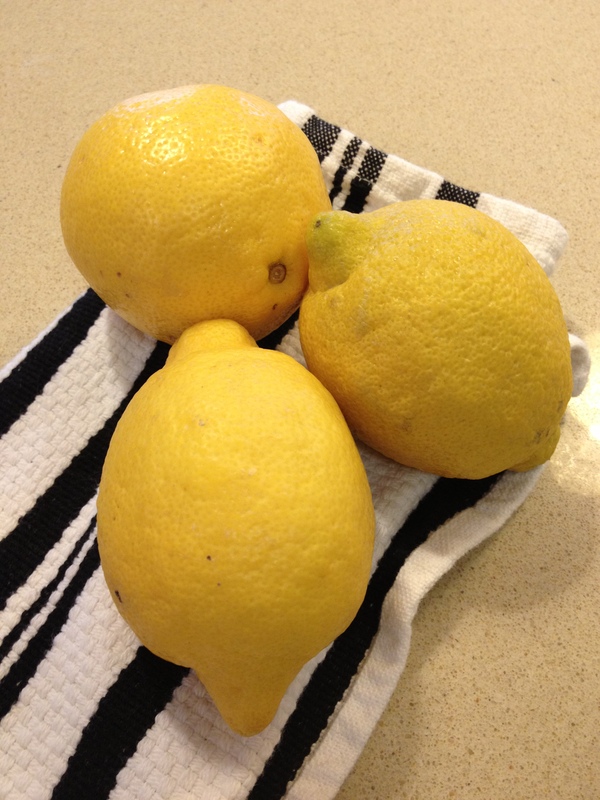 I ended up with 2 lemons that look naked without their peel, but I am certain I will find some use for them. This really is a delightful combo and how perfect for a quick loaf cake. I will probably freeze this cake for a later use. You can even cut in half and eat part of it now and freeze the rest. I am a big fan of freezing baked goods, as long as you wrap them well and don’t keep frozen more than 3 months. If you’re in the market for another new recipe for blueberries, here you go. Happy Cooking. Grease and flour an 8 x 4 loaf pan. In a medium bowl, cream the butter and 1 cup sugar until light and fluffy. ( I used my Kitchen-Aid Mixer) Add eggs, and beat well. Mix in the juice of 1 lemon. Add the dry flour mixture, alternating with the milk. Fold in the lemon zest and the blueberries. Pour into prepared 8×4 loaf pan. Bake for 60 to 70 minutes, or until a cake tester ( toothpick) inserted into the cake comes out clean. For the glaze, combine 1/4 cup sugar with 2 tablespoons lemon juice. Drizzle over cake while still warm not hot. I let completely cool and then I froze it for when I would want to serve it. It was super moist and delicious. 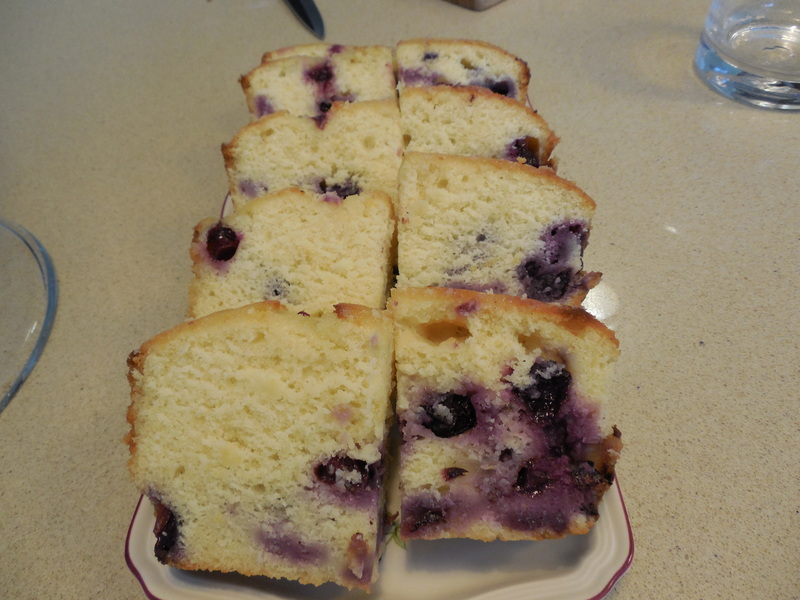 This entry was posted in Baked Goods, bread, Cake and tagged Blueberry Lemon Bread, Blueberry Lemon Loaf Cake, Lemon Blueberries, Lemon Blueberry Bread, Lemon Cake with Blueberries. Bookmark the permalink. This was so yummy. 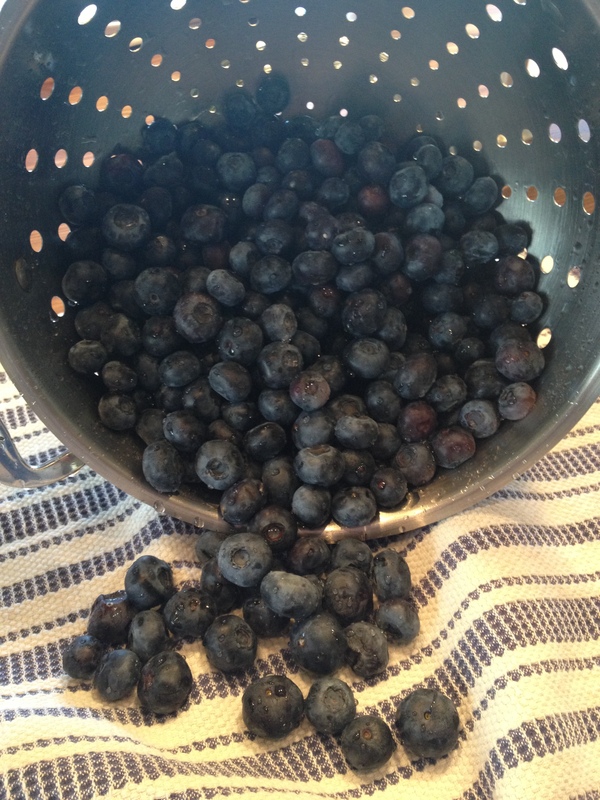 I happen to love blueberries and lemon….my guests couldn’t get enough. Even if it doesn’t look like Summer out there right this minute it’s time for summer baking and nothing beats blueberries and lemons. Light and Delicious –a perfect little cake. Easy to make and easy ingredients. Enjoy!